90 degree reversing spiral bevel gearboxes are available with ratio 1:1 and 1:2 only. 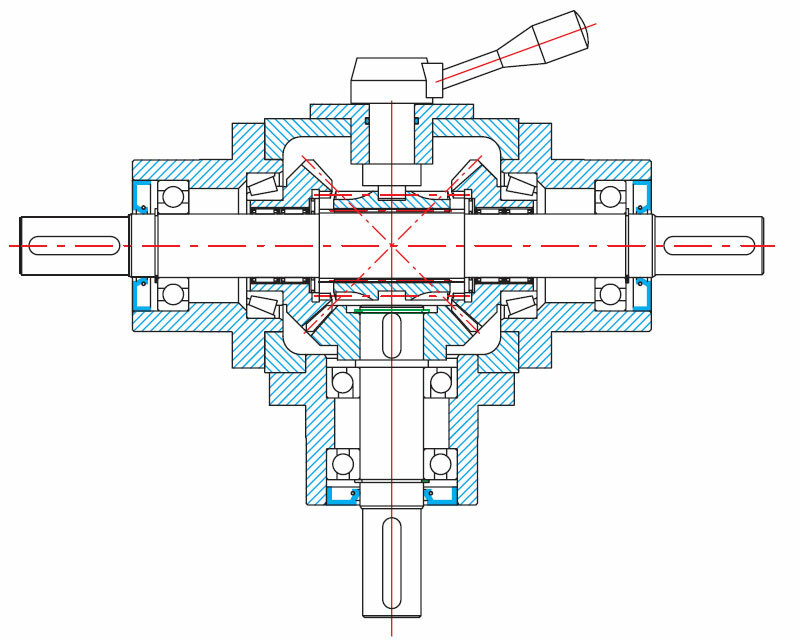 The 90 degree reversing spiral bevel gearboxes by moving the control lever from fully engaged through neutral to fully engaged in the apposite direction the 90 degree shaft will change rotation. Operation of the lever, which is normally carried out by end, may only be done when the unit is stationary. 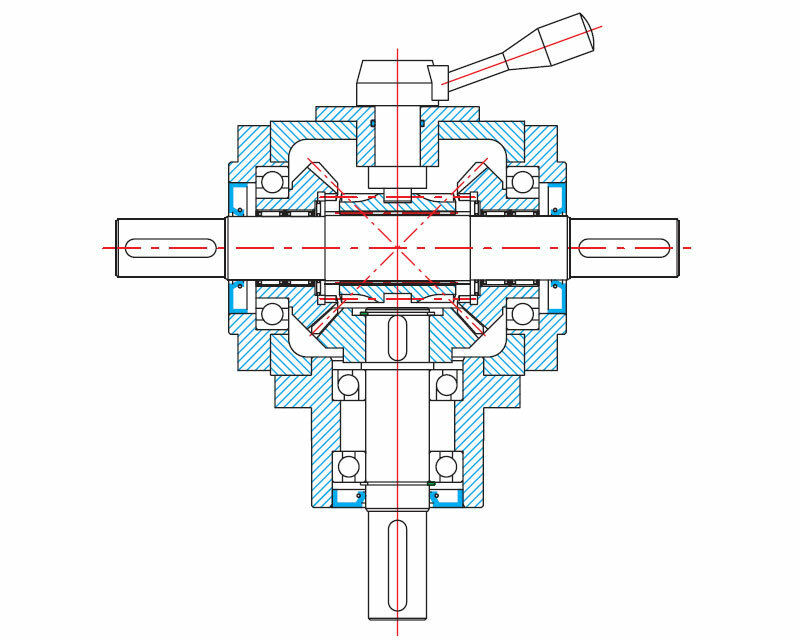 Engaging position is usually indifferent, and reversing spiral bevel gearbox is called FP (Full Position). On request may be supplied with option SP (Single Position) and is possible only one engaging position on 360 degrees. Reversing bevel gearboxes are produced in sizes BG32, BG42, BG55 only. Selection corresponds to input kW and output torque as pages 5-6 reduced by 30%. Dimensions and mounting positions are the same as type A (pages 20-21) and type DR (pages 50-51). Co-axial spiral bevel gearboxes are available in ratio 1:1 only. 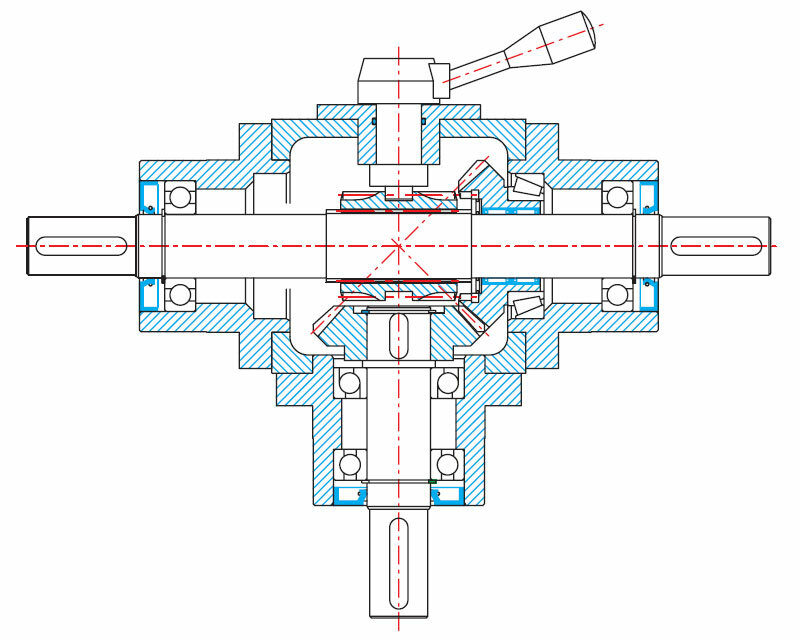 The co-axial reversing spiral bevel gearboxes by moving the control lever from fully engaged through neutral to fully engaged in the apposite direction the co-axial shaft will change rotation. 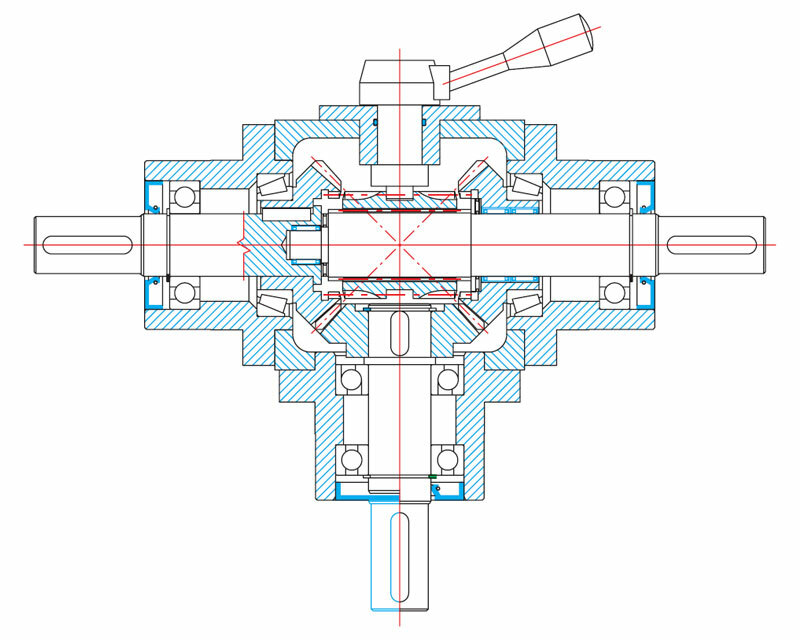 On request co-axial reversing spiral bevel gearboxes may be supplied with a third projection shaft at 90 degrees. Operation of the lever, which is normally carried out by hand, may only be done when the unit is stationary. Co-axial reversing bevel gearboxes are produced in sizes BG24, BG32, BG38, BG42, BG55 only. Dimensions and mounting positions are the same as type DR (pages 50-51). Disengaging spiral bevel gearboxes are manufactured in ratio 1:1, 1:2, 1:3 only. 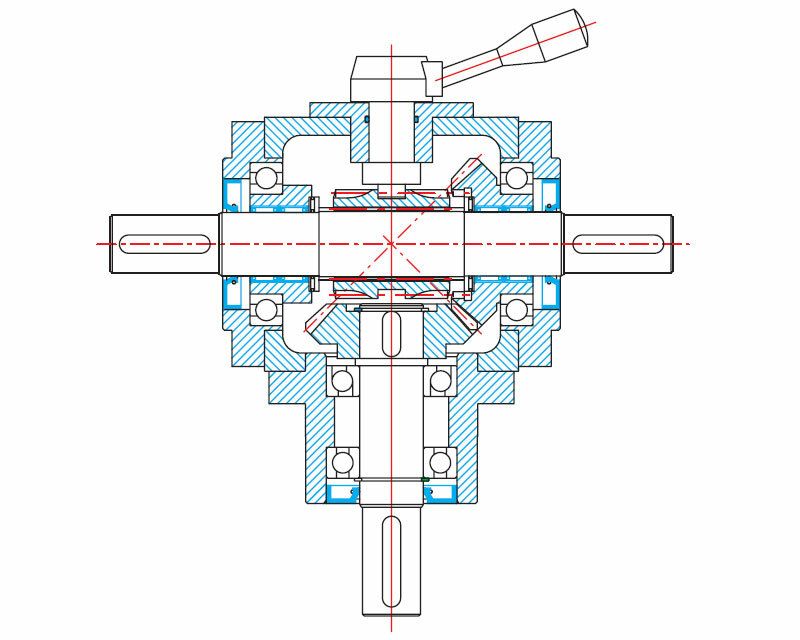 Operation of the lever disengages the 90 degree shaft. This is normally carried out by hand and may only take pace when the unit is stationary. Disengaging spiral bevel gearboxes are produced in sizes BG32, BG42, BG55 only. Selection corresponds to input kW and output torque as pages 5-6 reduced by 15%.